Students can agree with President Trump about immigration, if they’d like. But they can’t talk like him, at least not in school. Let's suppose you're teaching a current-events lesson at an American public school. 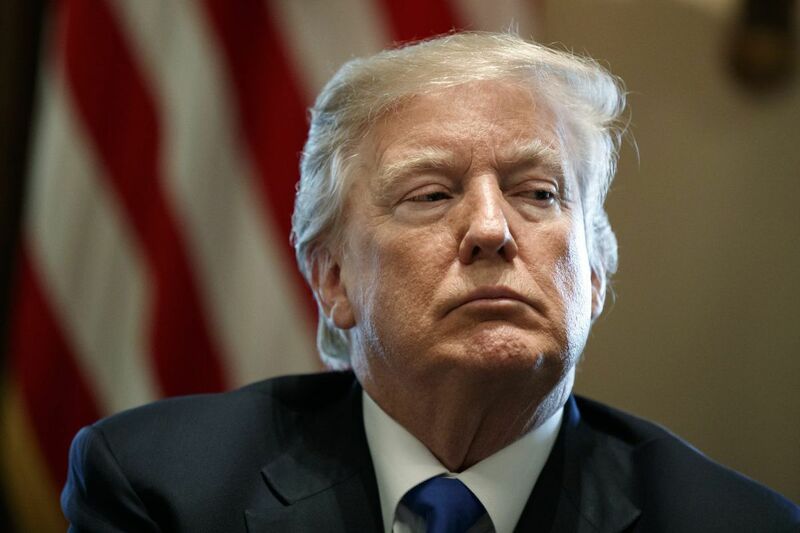 The talk turns to President Trump's comments last Thursday at a discussion with members of Congress, where Trump questioned whether the United States should accept immigrants from "shithole countries"—particularly those from Haiti and Africa — rather than from places like Norway. A student in the class defends the president's remarks. "Norwegians are wealthier and better educated," the student says. "We need more people like that." Here's what you shouldn't do: dismiss the student's statement as racist. The question of who should become an American is one of the most hotly contested issues in the United States, across our history and into the present. Decent and reasonable people can differ on whether we should favor more more skilled and educated immigrants, which is what Canada and many other democracies do. But decent and reasonable people do not call poor countries "shitholes," ever. Although students should be free to make up their own minds about controversial public questions, they should not be allowed to malign entire peoples or nations. They can agree with President Trump about immigration if they'd like. But they can't talk like him, at least not in school. That's the key distinction that we all need to keep in mind amid the ongoing controversy over Trump's comments. In a democracy, by definition, we must debate differences of policy. But we also need to uphold shared norms of civility, or our democracy—and the debates that define it—will fall apart. The threat is real. When the president of the United States denigrates whole groups of human beings, he sends a clear message that this kind of behavior is OK. And if you think it's not influencing our kids, well, you just haven't been listening. According to a recent survey of American teachers by researchers at UCLA, over one-quarter of the teachers reported an increase during the past year in students' making racist and sexist comments in school. And nearly half said that student anxieties were affecting classroom learning. Many students were reluctant to discuss controversial issues, the teachers reported, for fear of drawing attention to themselves. That isn't all Trump's fault, of course. Well before he ascended to the White House, American political culture was fracturing into bitterly polarized camps. On cable television and the internet especially, citizens have been degrading each other for many years in a 24/7 slugfest of snark and invective. But surely Trump has accelerated those trends, particularly via his own intemperate use of social media. And that's all the more reason that our schools need to teach young people a more kind, measured, and respectful brand of behavior than the president has displayed. That means prohibiting any kind of slur against a group of people, particularly if the president uses one. In no uncertain terms, our teachers must emphasize that Trump's remarks about Haiti and Africa were offensive and inappropriate. But they also need to explain why. The president's language wasn't simply "tough," as he later claimed. His words echoed a long history of racial slurs against people of African descent, dating to the dawn of slavery. Meanwhile, Trump's brazen claim that he hadn't used the word shithole—in the face of enormous evidence that he had done so—fueled the cynicism that mars so much of contemporary political life. So did denials by GOP Sen. David Perdue (Ga.) and other Republican apologists. As Daniel Patrick Moynihan famously quipped, all are entitled to their own opinions but not to their own facts. Trump did call other countries "shitholes," of course; the only question is whether that's OK. There's only one answer: no. That's why Republicans are rallying to deny Trump's remark, which is — quite simply — indefensible. And our kids need to hear that, too. Regardless of what they think of President Trump's policies, teachers must make it clear that his language violated basic norms of democratic dialogue. It's perfectly OK to argue for laws that favor more highly educated immigrants, if that's what you believe. But when you do that using racist idioms, like the president did, you shut down discussion before it begins. You can't hold a debate on humane and equal terms, if the very terms of the debate undermine human equality. So in this week following Martin Luther King Day, let's re-dedicate our schools to the democratic values that King proclaimed. That means conducting full and robust debates about immigration and everything else. But it also means teaching decency and civility, which our own president has done so much to erode. That's a lesson everybody needs to learn, over and over again, until we know it by heart. Jonathan Zimmerman teaches education and history at the University of Pennsylvania. He is the author (with Emily Robertson) of "The Case for Contention: Teaching Controversial Issues in American Schools" (University of Chicago Press).